There are many factors affecting moisture content of plastic materials in the process of drying that mainly are the drying temperature, airflow and time, dew-point temperature and environment. As to effectively control the moisture in plastic materials, it’s necessary to choose suitable drying equipments first of all. On the market, drying equipments generally contain the common hot-air dryers, partial dehumidifying hot-air dryers, and dehumidifying hot-air dryers. This paper introduces how to effectively control the moisture content in plastic materials. In the development, Shini has provided numerous whole plant plans for the customer, and is strict with itself in every aspect of storage, distribution, transportation, molding, water and electricity facilities. 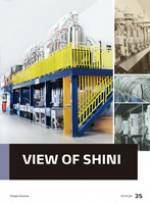 Shini constantly develops its products and always pursues to be outstanding. In the future, we will offer more perfect products to the customer with our professional team, solid technology and serious attitude. Smartphone has become the necessary part in modern life this day, no matter in work or entertainment. Two critical factors to bring these advantages to people are acoustics and optical systems. Today, in order to attract costumer's attention and have a ground in smart-phone market, the acoustics and optical systems with only basic functions are not enough. Getting ahead of other competitors through improvement on R&D and working methods are vital. By utilizing automatic production line, it could help manufacturer control cost, increase production rate, and assure the product quality. How to Control the Moisture of Plastic Materials Effectively? What Does SSW Bring to the Customer?